In November, 2011, Baker Street publisher, Stephen Barrager, gave this talk at Stanford University. These are the slides from that presentation. In this talk Dr. Barrager reviews his experience as a cancer patient and the experience of a colleague, Stephen Schneider. Schneider, a recovered cancer patient, wrote a book titled The Patient from Hell, recounting his experiences with doctors and the health care system. Schneider recommended two things. First, that every cancer patient should have an advocate or Cancer Quarterback. 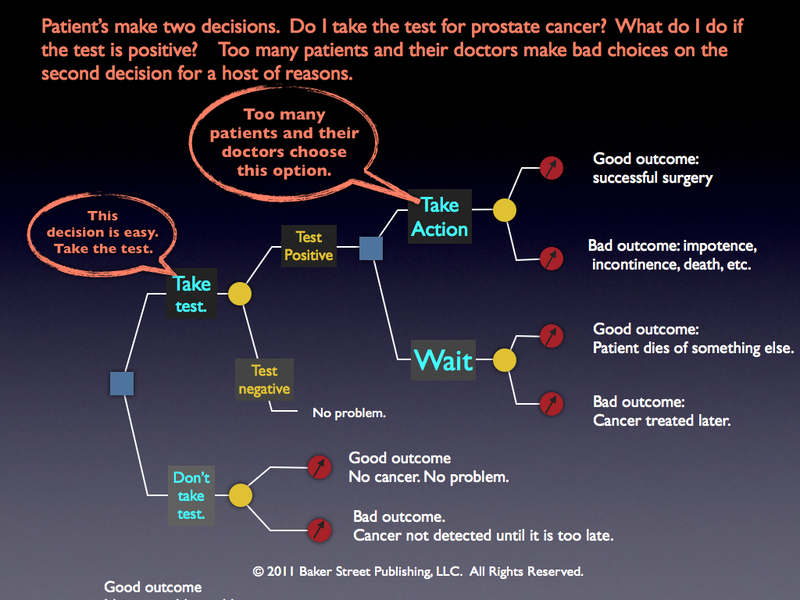 And second, doctors should use more management science tools, particularly for dealing with uncertainty. 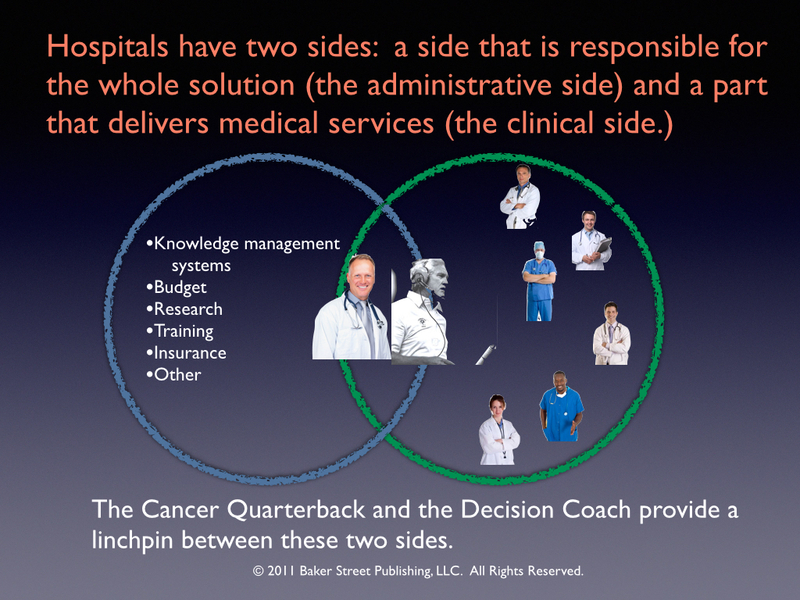 This talk explains how Schneider’s recommendations can be met by creating two new roles: The Cancer Quarterback and the Decision Coach. This concept could improve patient care and provide a pipeline for bringing more management science into the health care system. The combination of Quarterback and Coach could also provide a platform for knowledge management and learning.